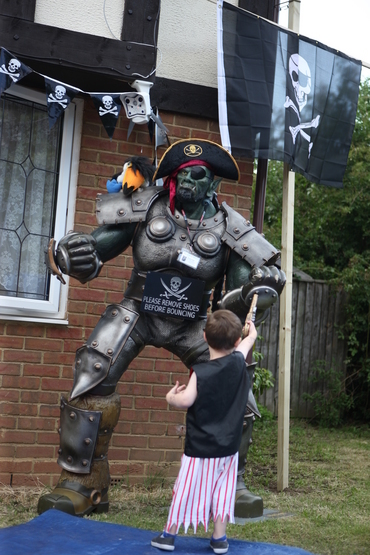 Thrall was being a Bouncy Castle Guardian for the day, and was not impressed with having to dress like a pirate. Bobby is 3! Fun was had by all. A bouncy castle full of 3 year olds probably counts as a Horde. Thrall did get new teeth though. Seems his previous dentist provided blu-tac teeth. Now he has 3D printed PLA teeth.